Following today’s original artwork release for Harry Potter and the Cursed Child, show producers Sonia Friedman and Colin Callender spoke with The Daily Mail and released brand new information regarding the plot of what is being tag-lined as The Eighth Story. Nineteen Years Later. A statement from the creative team noted that Al must struggle with the weight of a family legacy he never wanted and that ‘past and present fuse ominously’ when Harry and his younger son learn the uncomfortable truth that ‘sometimes, darkness comes from unexpected places’. 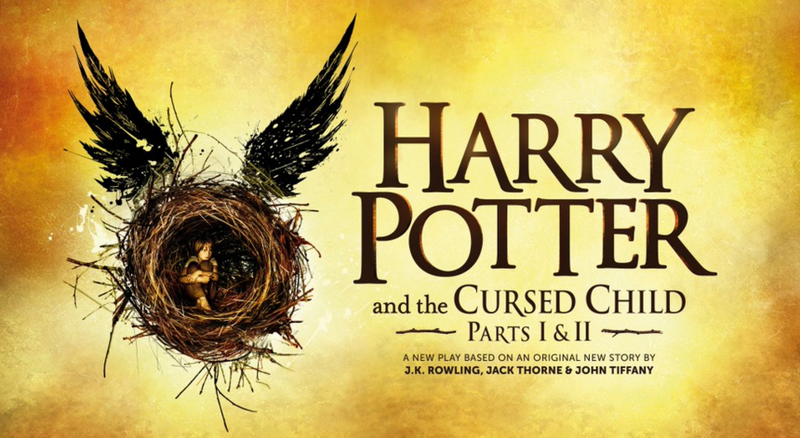 Pottermore also posted a short synopsis of the play following the Daily Mail article. There we have it, folks. What I believe will the largest reveal of information regarding the story until the curtain rises: we have our protagonist. I think that they could do some really interesting things and take us to some truly exciting places alongside Al as he navigates the wizarding world under the Potter fame-umbrella. I’m sure that this new tale will clash with hundreds of fanfic writers’ stories, or possibly, ride right along with them in some cases. Albus Severus’ story will be told in two parts, so we should expect to learn more than we ever dreamed about life after Voldemort. What do you expect to see from Al and the Potters these nineteen years later? Were you expecting someone else to be the ‘cursed child’? Comment below or tweet at us @fanspeakfiles.